Does Multitasking Ruin Your Ability to Multitask? Last week I went on a gorgeous scenic train ride through the Canadian Rockies. We were pretty much entranced by the scenery, which only got better with each mile. A couple seated near us took it in differently. In their 30s, they each spent about 50% of their time reading a Kindle (latest model, her), or an iPhone kindle book or iPhone game (him). Another 25% of their time was spent sleeping. The remaining 25% was jumping up with their (very cool hi-powered) cameras and going to the open-air platform to snap a few pics, to then return to their digital or somnolent worlds. I felt myself feeling judgmental, which of course is my problem, not theirs. At least I didn’t say anything. But in the end, it got me curious. From the BBC comes a possible answer. · Ability to switch tasks. The study identified two groups of people: multitaskers, and non-multitaskers, and applied a classic psychological test of each skill to each group. In each case, the non-multitaskers out-performed the multitaskers. "The shocking discovery of this research is that [high multitaskers] are lousy at everything that’s necessary for multitasking," Professor Nass said. "The irony here is that when you ask the low multitaskers, they all think they’re much worse at multitasking and the high multitaskers think they’re gifted at it." Several of the commenters on the blogpost insist either that they themselves are excellent multitaskers, or that the tests selected do not in fact test for multi-tasking. Me, I’m inclined to go with the authors. The study authors themselves suggest that the remaining “pressing question” is whether multitasking degrades skills, or people with degraded skills are drawn to multitasking. Me, I figure it’s a classic predisposition-plus-opportunity thing, not unlike alcoholism or a bad sense of humor. I hypothesize that playing an iPhone game while travelling through the Canadian Rockies on a sight-seeing train probably qualifies as multi-tasking. While I couldn’t judge how well they were doing in the digital world, I suggest they were doing badly at noticing the analog world, and their switching appeared pretty clumsy. As to sleeping: hey, what do I know what their nights were like? Maybe they were massively jet-lagged. But enough about others. I wrote the first paragraph of this blogpost watching a re-run of Two and a Half Men, one I’ve probably seen twice before. And I stopped in the middle to upgrade to Snow Leopard. Plus I like my coffee a lot, and like to claim it keeps me sharp, though I’m increasingly doubting that. So I’m not exactly pure snow here. Plus, it’s not a value thing. There are a lot of things in this world that require being good at multi-tasking. More than in the past. The ability to focus and concentrate may still be critical to some things, but probably not as many, proportionately, as in the past. But I do think focus and mindfulness and paying attention are critical to trust. 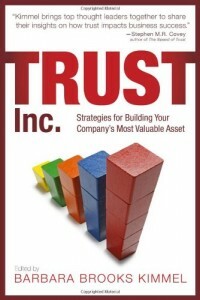 Trust may be more rare, less frequently required, than in the past; but the nature of its requirements haven’t changed. Maybe the big question is: can we switch gears between multi-task mode and single-minded focus mode? Is there a flip-switch move we can make, an exercise we can conduct, that will let us enter the other realm? Judging from the couple next to us, it’s doubtful. Their social interaction, unlike most on the train, was pretty much nil, even with each other. And judging from my own experience, changing habits is awfully, awfully hard. It takes a lot of focus to be able to multi-process, especially since multi-processing degrades the ability to focus. http://trustedadvisor.com/public/trusted_advisor1.png 0 0 Charles H. Green http://trustedadvisor.com/public/trusted_advisor1.png Charles H. Green2009-08-27 10:00:002009-08-27 10:00:00Does Multitasking Ruin Your Ability to Multitask? Trust lessons from a non-profit fundraiser.